Geometric And Panelling - A Trend For All! Swaths of solid colour and geometric shapes dominated the catwalk this season. 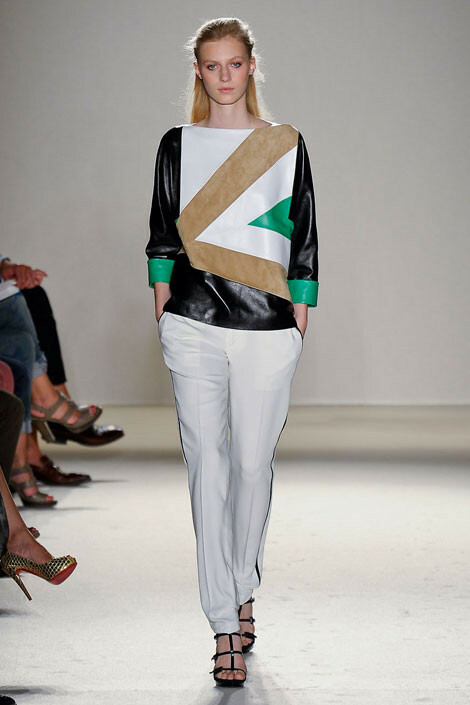 From Barbara Bui’s clean, modern lines, Gucci's sparkle, Hermès’ angular couture and BCBG Max Azria's more fluid shapes, the geometric abstraction movement made its way to the runways (click on an image to view gallery). When buying into this look ensure that the panelling is flattering e.g. Pear shapes should wear a more horizontal print on their top half to draw attention to their upper body. Accessories are an easy way to add an instant wow factor to your wardrobe - geometric shoes, handbags, scarves and jewellery will bring you just as up to date. The simple, functional lines used by designers like Caroline Herrera, Derek Lam, Ohne Titel and Empori Armani, showcase a great minimal trend with a hint of ‘Parisian Chic’ that can be worn by all (click on an image to view gallery). If the geometric trend is too much for you but you still want to buy into flattering, panelled designs, then this is definitely for you. Again, ensure that the direction and placement of the panelling enhances you shape. I had to put these right at the top - if there's one thing you are going to buy to do this look then these shoes have to be it! These black and cream ankle strap heels are finished off with gold metal detail and are from River Island at £60 - totally stunning - buy now! This gorgeous panelled knitted dress in black and greys from Kew159 at £109 is a stylish yet comfortable take on the trend. It's fluid lines and batwing sleeves skim the body and the panelling design makes it super flattering. 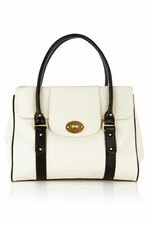 Wear with a platform court shoe or delicate shoe boots to complete the look. 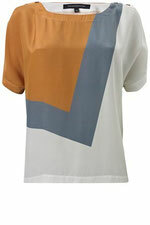 This beautiful silk top from French Connection at £92 is a cool summertime piece with a sharp graphic print. Tuck into wide-leg trousers and add a skinny belt for a sleek work option or wear with skinny's and gold accessories for the evening. There's something incredibly exciting about having a new bag! This fresh, striking two tone bag from Oasis at £40, is a perfect addition to your spring summer wardrobe and will sharpen up the plainest of outfits. 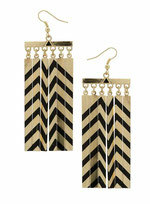 Super striking zig-zag design earrings from Dorothy Perkins at £8.50 will add a glamorous edge to your look. Keep the rest of your outfit simple and let these show-stoppers do the talking! If you have a special occasion coming up then this satin panelled dress from Oasis at £90 will certainly make an impact. The black and white contrast panelling is incredibly flattering on your bust and your hips and the clean lines make for a sleek and stylish look.